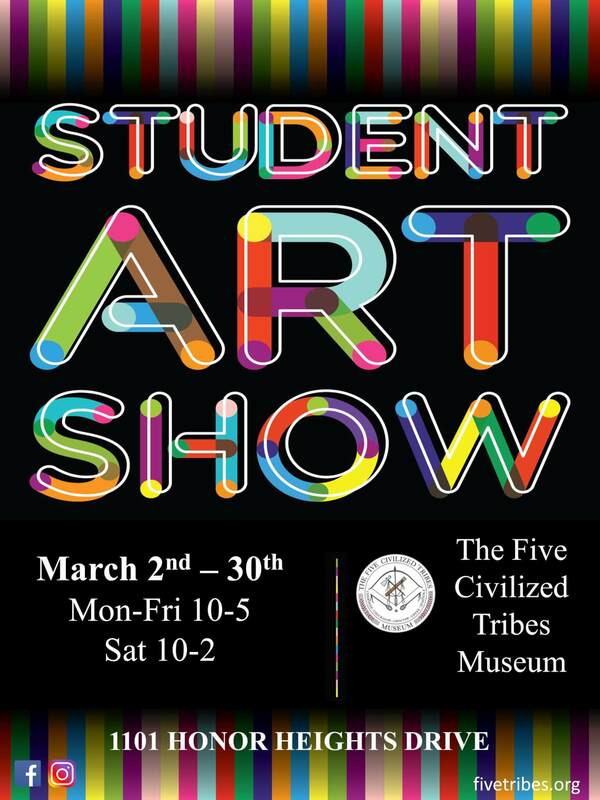 The Five Civilized Tribes Museum Student Art Show runs March 2nd – 30th. 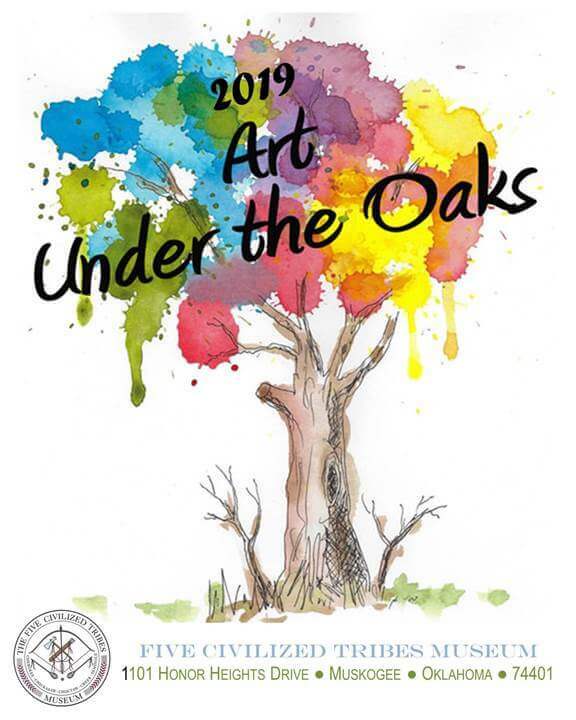 The competitive show features works from Five Civilized Tribes student grades 7th – 12th. The three categories featured in the show are painting/drawing, sculpture& woodcarving and cultural arts. The subject matter reflects the culture and/or history of at least one of the Five Civilized Tribes. The museum is located at 1101 Honor Heights Drive, Muskogee. Museum hours are 10:00 a.m. – 5:00 p.m. M-F and 10:00 a.m. – 2:00 p.m. Saturday – closed Sunday.